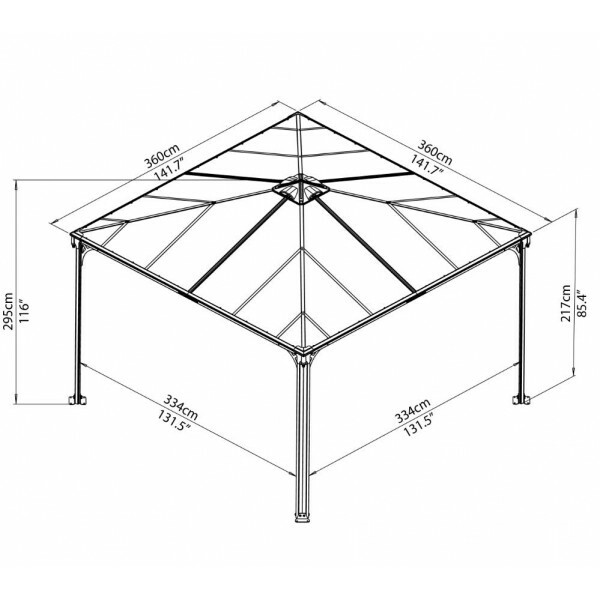 Palermo 3600 gazebo is the perfect durable living area structure for your garden. 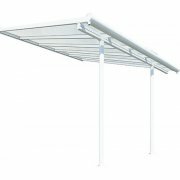 The unique and solid design creates an excellent solution for entertaining, taking shelter from the spring showers or place over your hot tub. Relax and enjoy the benefits that the Palermo offers. 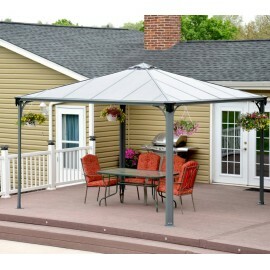 The Palermo 3600 gazebo provides the perfect outdoor lounging area. 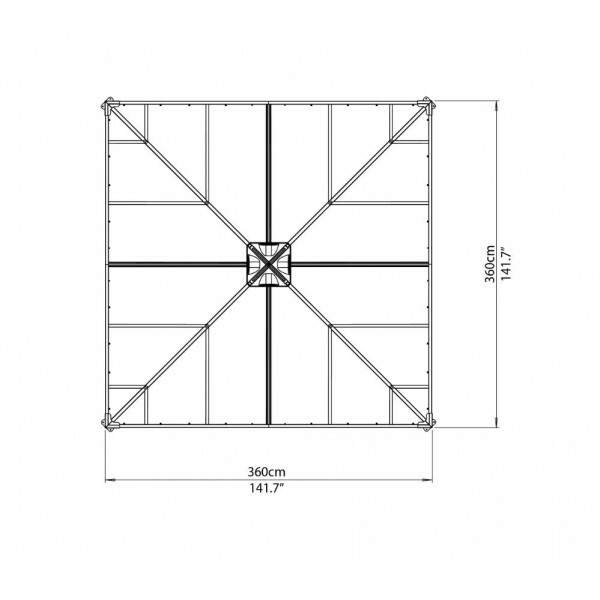 An all season garden refuge living space creates a sense of privacy and provides a shaded and relaxing area. Turn your outdoor area into a roomy gathering space as an addition to your home and lifestyle, as a private getaway or family patio shelter. This harmony and elegant pergola satisfies the request and enhance your spa experience with a large hot tub space as well as garden pergola for hot sunny days. 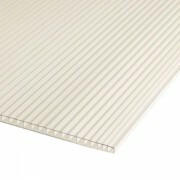 Ultimate virtually unbreakable aluminum structure !! 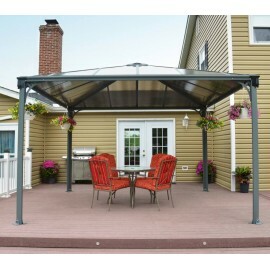 Palermo 3600 gazebo is a solid and sturdy structure, made of high quality powder coated dark grey aluminum finish, combined with virtually unbreakable 6mm Twinwall Polycarbonate roof panels with anti-UV treatment, to suits any back yard space and will protects your patio furniture from the sun’s harmful impact, as well as stands out perfectly in a different weather conditions for many years to come. It’s time to enjoy and celebrate !! 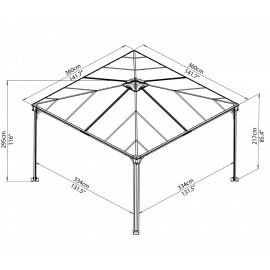 Palermo 3600 gazebo is a well-designed for entertaining and celebrating special family events, dining or just as a relaxation area. 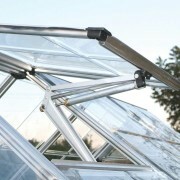 You will enjoy this luxurious all weather gazebo, without compromising, on rainy as well as on fantastic sunny days. 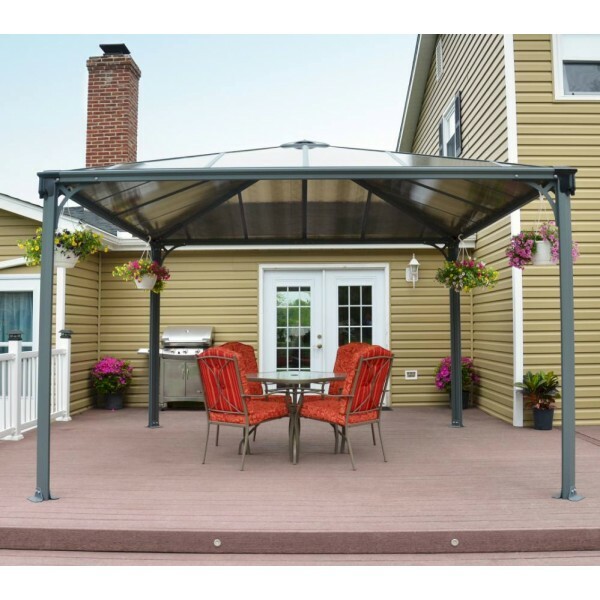 Palermo gazebo offers stylish comfort for today’s outdoor space, a virtual extension of your house with powder-coated rust-proof aluminum construction for superior strength and endurance for many years to come. Thanks to its stylish clean design the Palermo 3600 gazebo will help you add class to your garden appeal and provides you and your family wonderful relaxing shaded space. 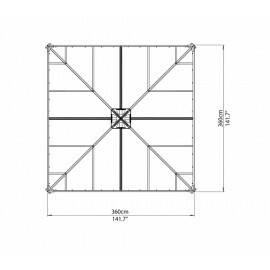 Our elegant basalts grey color square shaped design gazebo can be used year-round and lends a refined touch to any garden environment. A small details that makes a big difference !! As we head into the warmer seasons its time to take off the grill covers from your BBQ’s and enjoy that smoky flavor year-round. From now on the Palermo gazebo is not only a decorative shaded additions to your backyard but an weatherproof alternative to keep your grill going all year. In order to creates occasional maintenance the Palermo garden shelter made out of durable aluminum profiles together with polycarbonate roof panels that requires virtually no maintenance and also resist rust, rot, peel or fungus.